I am sharing this post in partnership with Proleve. As always, all opinions are my own. I appreciate you supporting both me and the brands that allow me to create quality content for you! 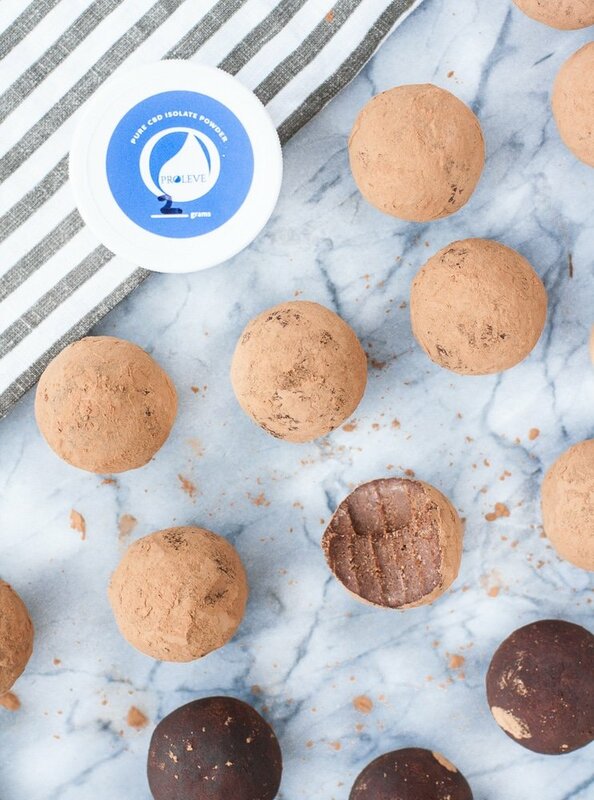 Enjoying one of these delicious low-carb Chocolate Truffle Fat Bombs is great for getting in an energy-boosting dose of healthy fats! This keto recipe is made complete with ingredients like cream cheese, monk fruit sweetener, cocoa powder, and Proleve CBD powder. 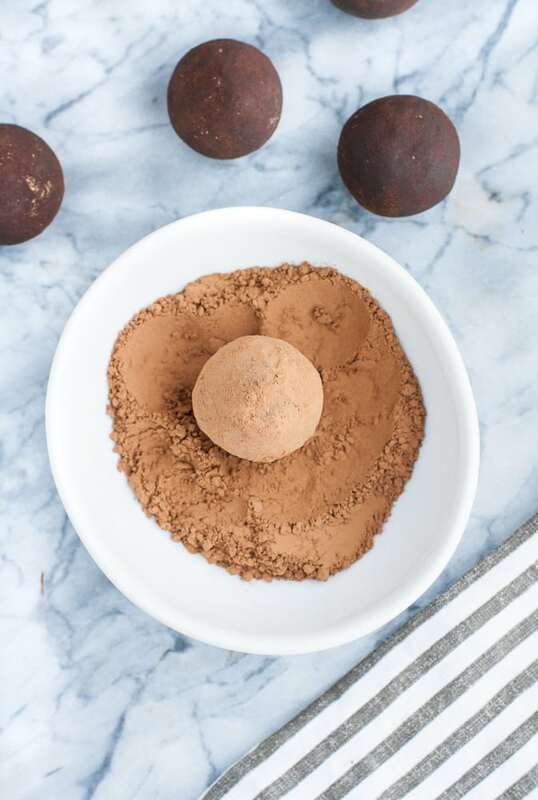 If you like fat bombs, you will LOVE this chocolate truffle version! 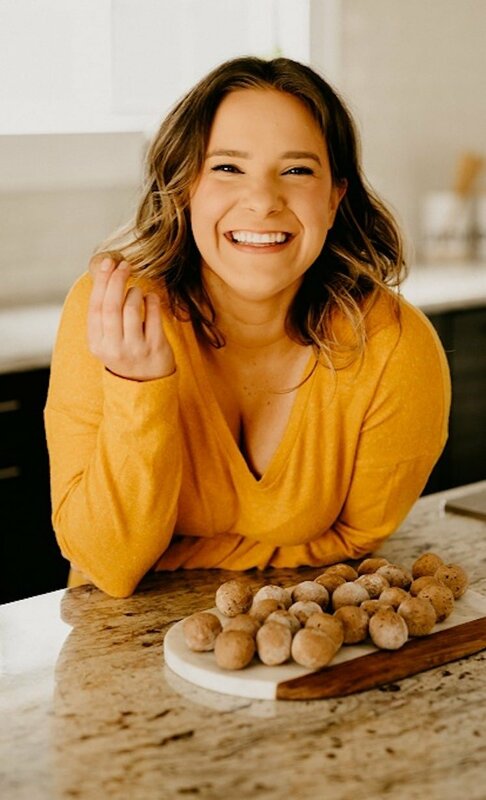 If you are a regular Real Balanced reader, you know how highly I value fat bombs! They are basically essential, especially when following a ketogenic lifestyle. There are a TON of reasons why fat bombs are AWSOME, but let me give you an overview of the basics. Low-Carb: All of the fat bombs that I create are low in carbs and totally keto-friendly! They are the perfect way to kick my sweet tooth while remaining safely in ketosis. On-The-Go: Fat bombs are the BEST on-the-go snack! I love to pop one or two in my insulated lunch bag when I know I am going to be away from home for a few hours! Energy-Boosting: The ingredients in fat bombs are full of healthy fats (hence the name). 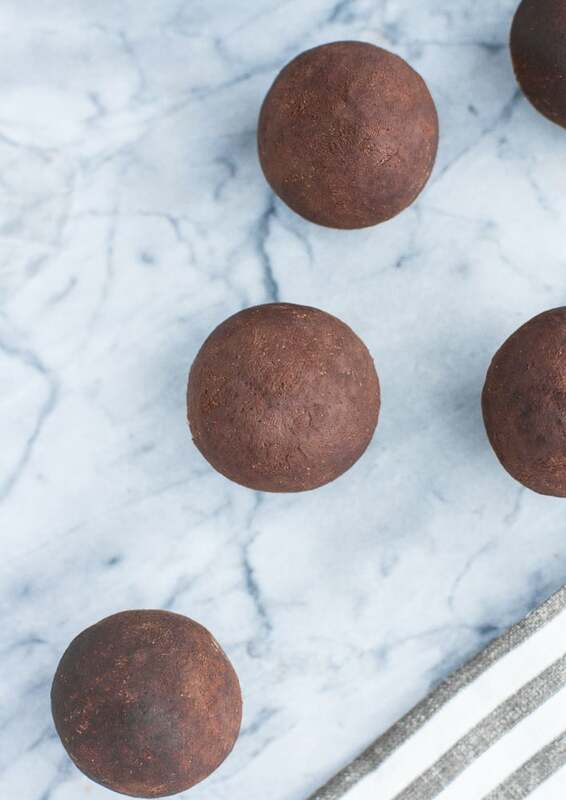 These healthy fats supply your body with a quick boost of energy, making fat bombs awesome to have on hand when that afternoon slump arrives. The best part? You will not get a “sugar” crash! Get ready for a super tasty flavor-packed fat bomb recipe! This recipe is full of the tastiest ingredients, including cream cheese, monk fruit sweetener, cocoa powder, butter, vanilla extract, and more. 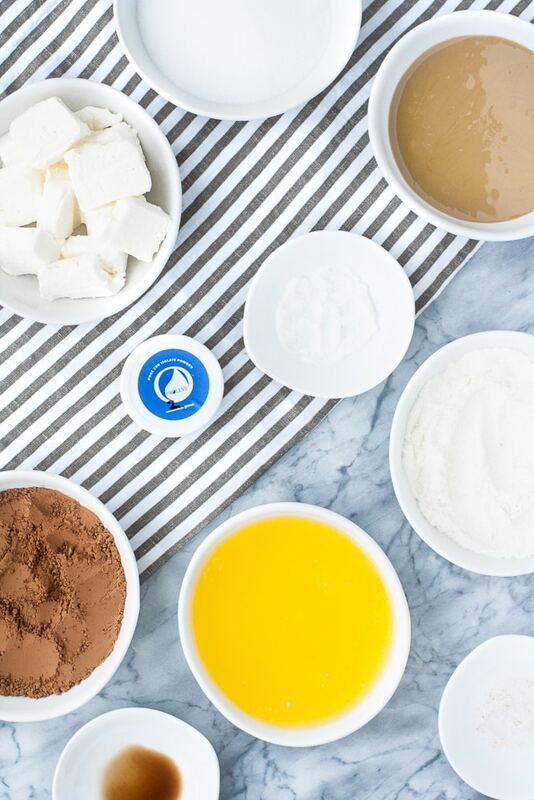 All of these ingredients come together to create THE most delicious truffle fat bombs! However, there is one ingredient in this recipe that takes these fat bombs to the next level: Proleve Pure CBD Isolate Powder! If you are unfamiliar, CBD stands for cannabidiol, a substance known for reducing levels of anxiety, pain, difficulty sleeping, difficulty focusing, inflammation, and a variety of other conditions and health problems. CBD has rapidly increased in popularity over the past few years, much in part due to its effectiveness! In these chocolate truffle treats, I use Proleve’s CBD isolate powder. All of their CBD products are gluten-free, non GMO, vegan, and lab-tested by a third-party for purity and safety. I love adding CBD powder to my fat bomb recipes because it mixes flawlessly with the other ingredients! The powder doesn’t have a taste, so it will not alter the result of your recipe whatsoever. It is important to know where your ingredients are coming from, especially in terms of additives such as CBD. Proleve CBD is grown and produced in the USA using organic farming practices. This is so important because hemp absorbs everything in the soil. By farming and producing their CBD organically, Proleve ensures that there are no toxins in their hemp! I love adding beneficial products to my recipes, especially when I have ease of mind regarding how they were produced. Use the code “realbalanced” at checkout to get 20% off your Proleve orders! CBD: Each fat bomb contains approximately 41mg of CBD. 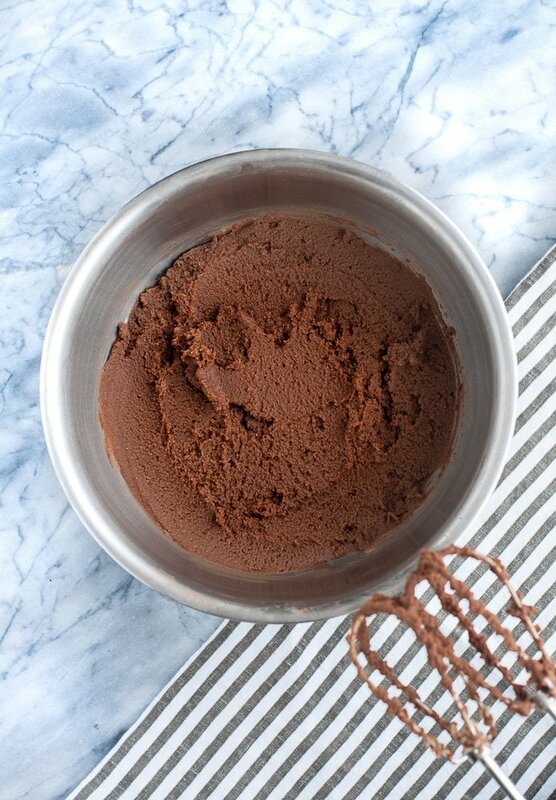 Materials: To properly incorporate all of the ingredients in this recipe, an electric mixer (also commonly known as a “hand mixer”) is required. 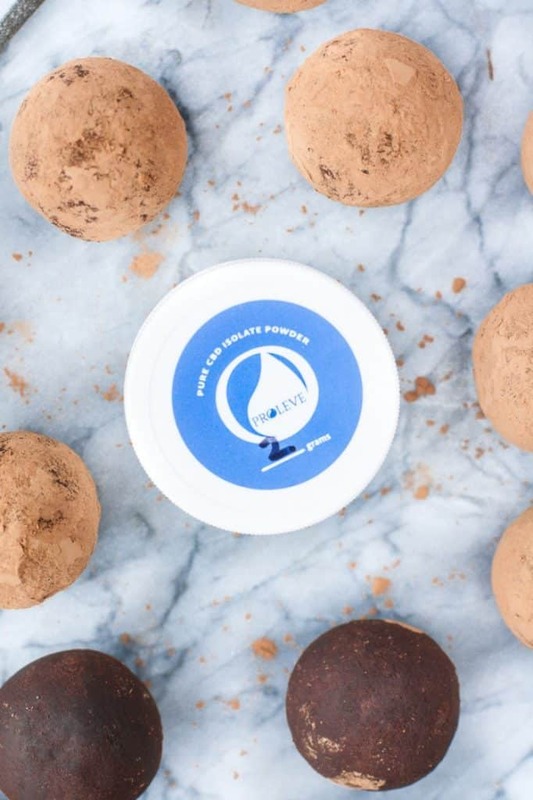 A silicone mold is not required, but many people prefer to form their fat bombs using a silicone mold to save time by not having to individually roll each fat bomb by hand. Storage: These fat bombs should be refrigerated in an airtight container and should be eaten within 5-7 days. If you aren’t ready to enjoy them just yet, you can definitely opt to freeze them instead. If you do this, be sure to allow them to thaw for about 10-15 minutes prior to eating. 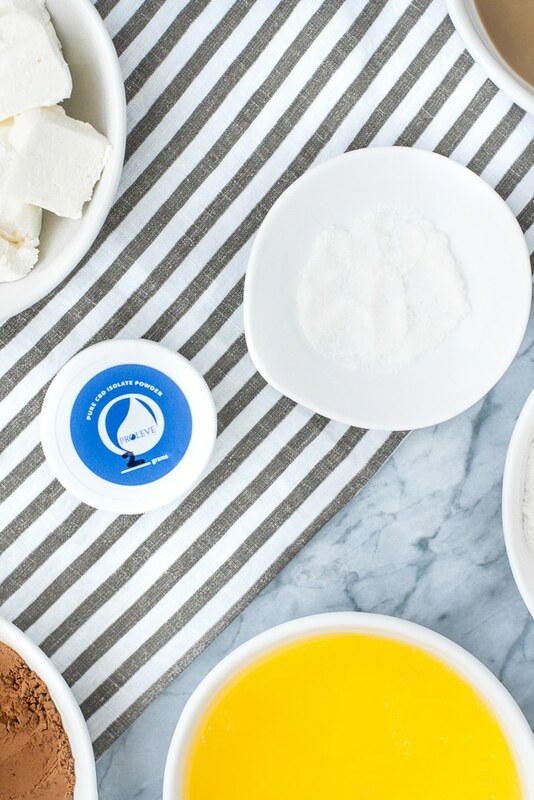 Time: These fat bombs, from start to finish, will be ready to eat in 2 hours and 30 minutes, but that time is including refrigeration time. To make this recipe, you will only spend 30 minutes actively preparing everything. 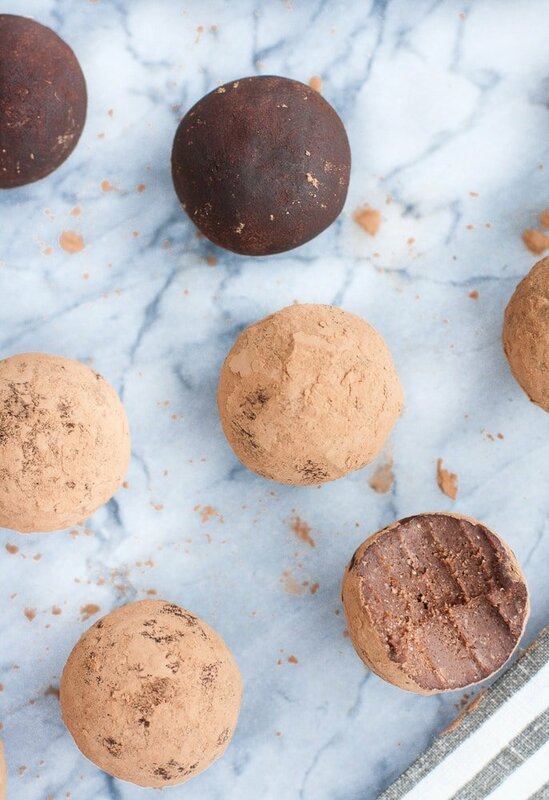 Assemble wet and dry ingredients to make these Chocolate Truffle Fat Bombs. 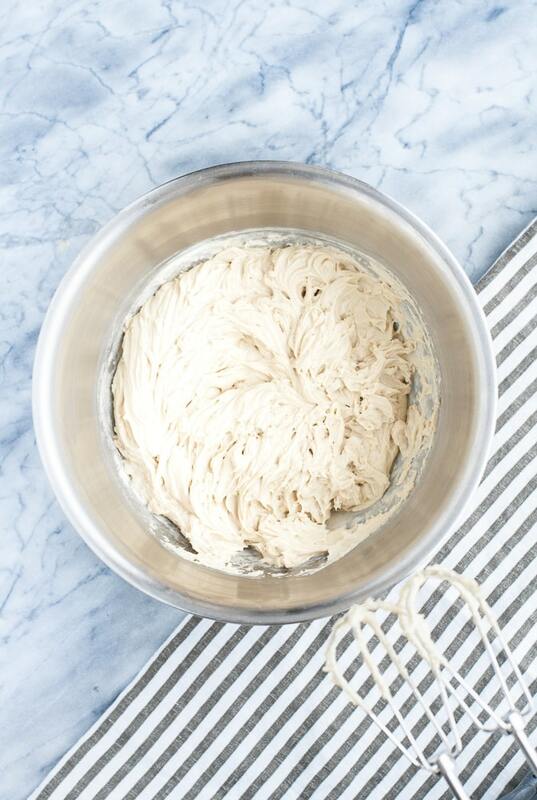 In a mixing bowl, using an electric mixer, mix cream cheese until whipped. Add melted butter and SunButter. Mix again, starting at lowest mixer speed before increasing to highest mixer speed until thoroughly incorporated. 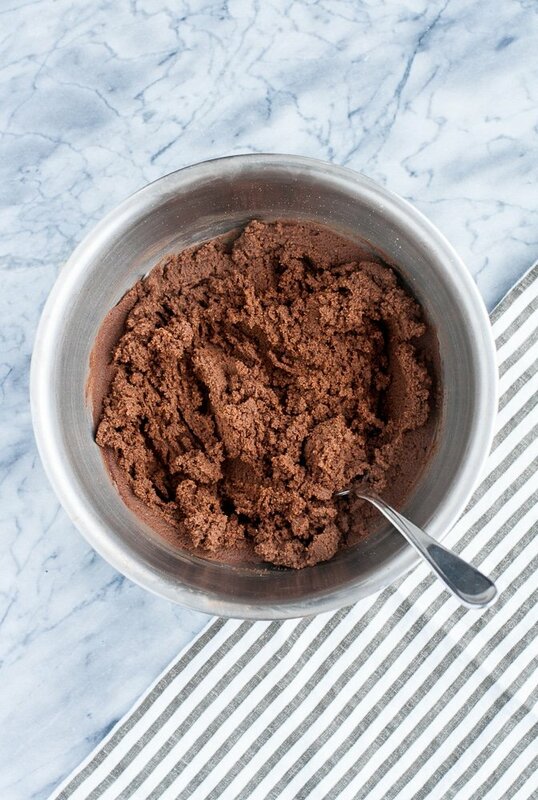 Add monk fruit sweetener, ½ cup cocoa powder, coconut flour, vanilla extract, and salt. …and mix it in using a fork. Cover mixing bowl with a lid, aluminum foil, or plastic wrap and transfer bowl to refrigerator to chill for 1 hour. Remove mixing bowl from refrigerator and form mixture into balls or scoop and flatten into silicone mold cavities. Transfer fat bombs to refrigerator to chill for 1 additional hour. After fat bombs have chilled, to a shallow dish, add remaining 2 tbsp cocoa powder. Individually roll fat bombs in cocoa powder. Perfect for a quick dessert or on-the-go snack! Check out all of the diets and lifestyles compliant with these fat bombs! 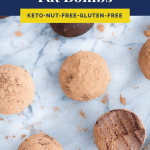 Keto and Low Carb: With only 1.4 grams of net carbs per serving, these fat bombs are the PERFECT keto-friendly snack! Primal: All ingredients in this recipe are compliant with primal diet restrictions. Gluten-Free: These chocolate truffle fat bombs are free of wheat, barley, rye, and all gluten-containing products. Grain-Free: Grain products are not included in these fat bombs. 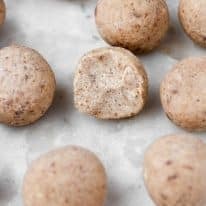 Nut-Free: These truffles are free of tree nuts and peanuts, making them perfect for those with nut allergies and intolerances. Egg-Free: Eggs are not required for this recipe. Vegetarian: These fat bombs do not contain any meat products. Refined Sugar-Free: This recipe does not contain refined sugar. What are the benefits of fat bombs? Fat bombs are FULL of benefits! To start, they are an awesome energy-boosting snack! Take them to work or have them on-hand whenever you start to feel a bit sluggish. They are a great source of healthy fats, and they are PERFECT for on-the-go snacking! How long does one batch of fat bombs last? This really depends on you, your family, and your lifestyle. This particular recipe yields 24 fat bombs. Generally, I can make one batch and am “all set” for an entire week! If I have more mouths to feed (which I know some of you will! ), I will make a few batches at a time. This generally requires less than 1-2 hours of prep and cooking time. Can I eat as many fat bombs as I want? I’ve created these treats to help you indulge your cravings. But I’ve often found if you’re truly following a keto diet, you may tend to eat less. I generally recommend no more than 2 fat bombs per sitting. Do I need any specific materials to make these recipes? Yes. 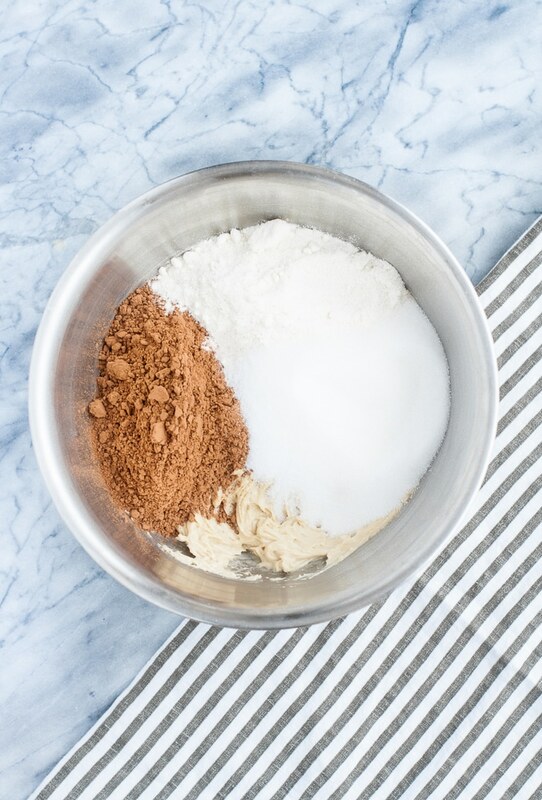 An electric mixer is required to properly incorporate all ingredients. Additionally, although not required, some people prefer to use a silicone mold to form their fat bombs (rather than rolling each fat bomb individually by hand). Looking for more chocolatey fat bombs? 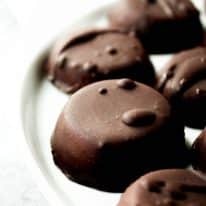 If chocolate-based fat bombs are your go-to, you will LOVE these ideas! 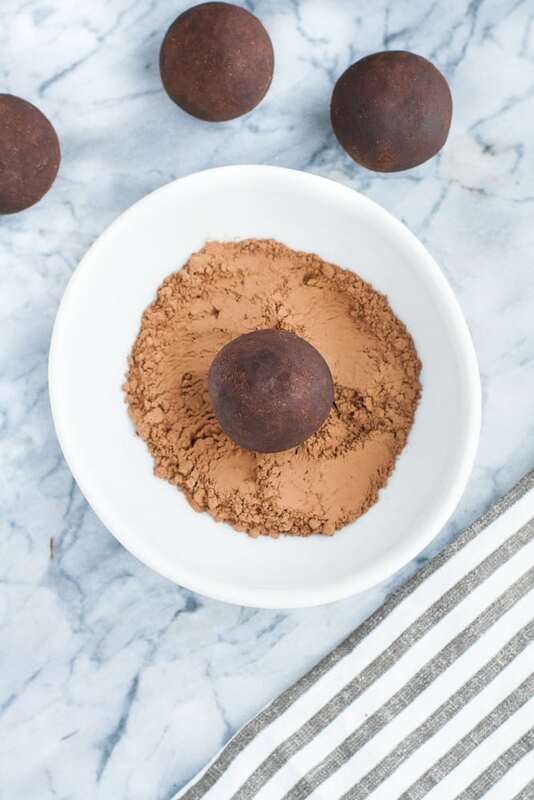 You are going to love these keto Chocolate Truffle Fat Bombs! Containing only 1.4 grams of net carbs per serving, these fat bombs are the ultimate low-carb dessert or snack option! 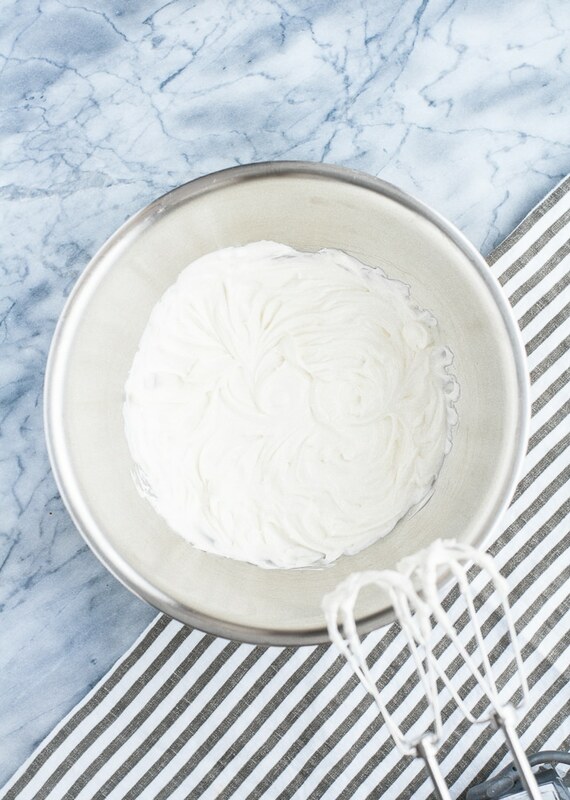 Fat Bombs: In a mixing bowl, using an electric mixer, mix cream cheese until whipped. Add melted butter and SunButter and mix again, starting at lowest speed before increasing mixer to highest mixer speed until thoroughly incorporated. 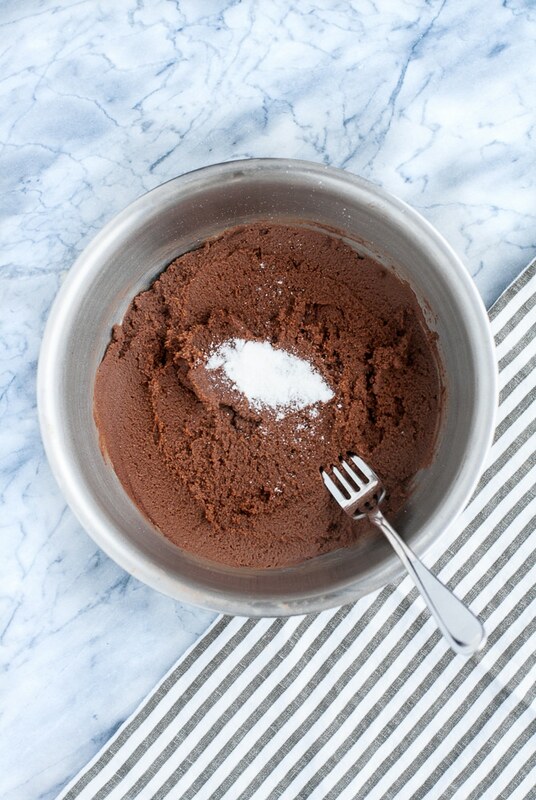 Mix in monk fruit sweetener, ½ cup (40g) cocoa powder, coconut flour, vanilla extract, and salt. Add CBD isolate powder and, using a fork, mix into mixture. 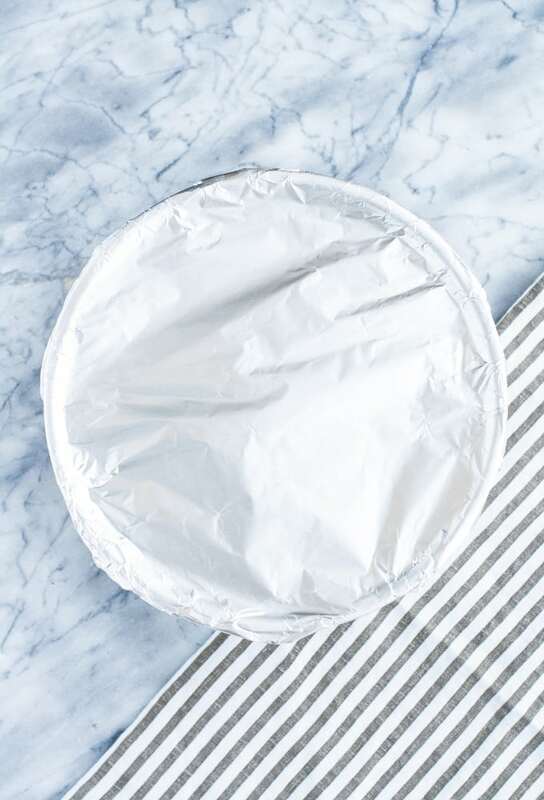 Cover mixing bowl with a lid, aluminum foil, or plastic wrap and transfer bowl to refrigerator to chill for 1 hour. Final Steps: After fat bombs have chilled, to a shallow dish, add remaining 2 tbsp (10g) cocoa powder. Individually roll fat bombs in cocoa powder. Weight: Each fat bomb weighs between 26g-28g. Storage: Store fat bombs in an airtight container in the refrigerator and eat within 5-7 days. Alternatively, store fat bombs in the freezer and, when you’re ready to eat one, pop it out of the freezer and allow it to thaw for 10-15 minutes before enjoying. 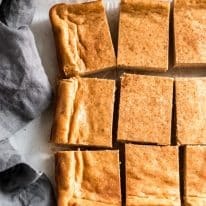 Dairy Substitution: This recipe can be made dairy-free and vegan by substituting refrigerated canned coconut milk for cream cheese and coconut oil for butter. 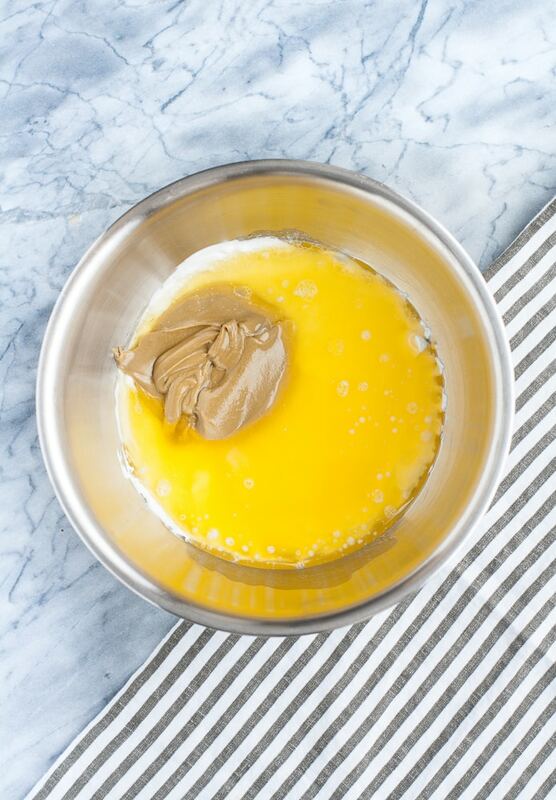 SunButter Substitution: This recipe can be made seed-free by substituting peanut butter or almond butter for SunButter at a 1:1 ratio. Be sure to always check your labels to ensure that no additional sugar is added to your nut or seed butters. Monk Fruit Sweetener Substitution: In place of monk fruit sweetener, erythritol or Swerve can be used at a 1:1 ratio. To substitute stevia in, I would suggest using pure powdered stevia and, since a little bit goes a very long way, start with only ¼ tsp and then taste test the mixture. If you want the resulting fat bombs to be sweeter, add in additional stevia in ⅛ tsp increments. This is a sponsored post written by Sara Nelson on behalf of Proleve. These are wonderful! The only problem I have is the crunchiness from the sugar. Can I use a confectioners type of sweetener like Swerve makes? Yep! Or, you can simply pulse granulated sweetener in a high-speed blender or food processor to powder it. You can sub in MCT Oil Powder or altogether omit.